in 2006. She grew up in Little Village and is happy to be serving her community since. Dr. Martinez is proud to be part of a unique and enthusiastic team at Martinez Family Dental where she provides excellent care. Dr. Martinez is an active member of various organizations including the American Dental Association and the Hispanic Dental Association. Her passion for dentistry has driven her to other countries to attend continuing education courses. Dr. Martinez believes in the importance of education and learning to provide her patients with exceptional and up to date dental care. She is always seeking for the latest technology and services in dentistry. Over the years, Dr. Martinez has participated in providing free dental care in her community and in underserved countries. When Dr. Martinez is not practicing dentistry she enjoys spending time with her family and friends. She also loves to travel and learn about different cultures and traditions. Dr. Martinez believes that if you smile the world will smile with you. A smile is a universal sign of happiness; the most recognizable facial expression. People can spot a smile from up to 300ft away. Smiling relives stress, boosts your immune system, makes you more attractive, more likely to get a promotion, and it’s contagious! I can’t think of a better profession to have picked than to be able to make my patients more confident in their smiles. I have always been a detail oriented person, and combined with a love for working with my hands, dentistry was a natural choice. In college I worked as a dental assistant for several years, where I was reassured that I was making the right choice for myself. Although I loved every area of dentistry, I excelled in orthodontics. Every day I get to witness my patients smile transformations and that in turn puts a huge smile on my own face. I was born and raised in Poland, but have resided in Chicago since the age of 10. I obtained my bachelor’s in psychology from DePaul University in 2002 and then attended SIU School of Dental Medicine, graduating with high honors in 2006. I completed my residency program in orthodontics in 2009 at UIC College of Dentistry. I am a strong believer in being a life long student and am regularly taking continuing education courses. Other than orthodontics, my other passion in life is traveling. One of my favorite quotes is “The world is a book, and those who do not travel read only one page.” Along with traveling I developed a hobby in photography. Whether across the globe or walking the streets of Chicago, I have my camera in hand. Dr. Mendez graduated in 2002 from the Universidad Autónoma de San Luis Potosí – Faculty of Stomatology as a Doctor in Dental Surgery in Mexico. In 2003, she started working at the University of Illinois in Chicago – College of Dentistry as Extra Help Semi – Professional. Due to her knowledge, dedication and clinical skills, she was soon promoted to Postdoctoral Research Associate. While working at the Ryan White Dental Clinic – Department of Periodontics, she participated at the yearly Clinic and Research Day with a Poster Presentation. Also, participated a the “Women’s Interagency HIV Study” in 2005. 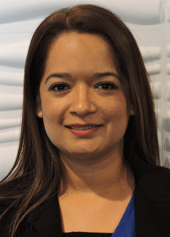 Dr. Mendez moved to San Antonio, Texas to finish her studies at the University of Texas Health Science Center at San Antonio – Dental School graduating in May 2010 as a Doctor in Dental Surgery. Since then, she has been working in different private dental clinics and keeping up to date through Continuing Education Courses. Dr. Mendez is a member of the American Dental Association, Illinois State Dental Society, Chicago Dental Society and Hispanic Dental Association. Her professionalism, personal ethics, dedication and high-quality dental treatments make her a valuable member to our office. 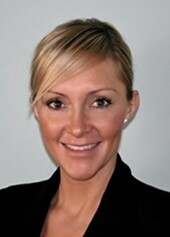 Her expertise includes extractions, root canal therapy, crowns (same day crowns – CEREC), and implants to mention a few. Dr. Mendez is devoted to her profession and loves traveling and spending time with family and friends. Bianca Medina earned her dental hygiene degree in 2015 from Kennedy King College where she also received her associate degree in Applied Sciences. Throughout her dental hygiene school career, she volunteered to serve and provide dental hygiene services to non-profit support centers, senior centers, and residences in Chicago. 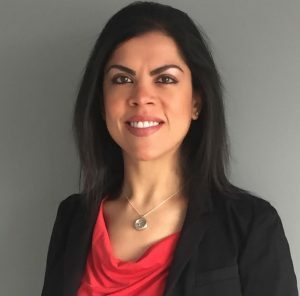 Bianca is currently a member of the American Dental Hygienists’ Association, the Illinois State Dental Society, and the Hispanic Dental Association. 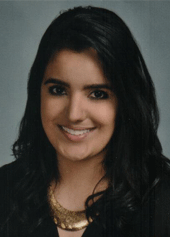 She is a passionate life- long student who keeps her mind open to any new information about dentistry, oral diseases, and dental procedures that arises by taking continuing education courses. Aside from the excellent team of dentists and assistants, she enjoys being a dental hygienist at Martinez Family Dental because she has the opportunity to educate and interact with patients of different cultures, ages, and personalities. She says we all smile in the same language and she believes that education is at the front line of every patient’s treatment plan. In her spare time, Bianca enjoys biking, traveling, and running. She enjoys sharpening her sickle scalers while watching Greys Anatomy, her favorite TV show.